Why don’t many Indigenous cultures suffer back pain? If you’re like most Americans, then you suffer back pain at some point in your life. Maybe you’re part of the 33% of the population that is afflicted by chronic back pain, or the 50% of working Americans that feel a twinge, ache or pull in their back or neck each year. In fact, it’s one of the most prevalent ailments and exacts a huge toll in lost productivity, sick days, loss of quality of life, strain on relationships, and other health problems. While chiropractic care should be on the front line of treating back pain, too often the traditional medical establishment pushes highly addictive painkillers and risky surgeries. But back pain is just a part of life and getting older, right? Believe it or not, back pain isn’t necessarily an inherent condition for all human beings. 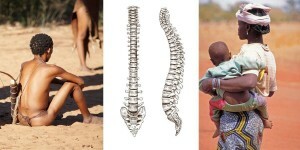 Incredibly, research now reveals that plenty of indigenous cultures throughout the world suffer little or no back pain! Not only do people of these cultures experience almost no troublesome or chronic back pain, but research shows that the discs in their spines display very little signs of degeneration as they age, as well. This epiphany started when a woman named Esther Gokhale from Palo Alto, California was stricken with her own debilitating back pain. For two decades, she consulted doctors, was on prescriptions and had surgeries, but none of it seemed to help. So when doctors urged her to have yet another risk or even dangerous spinal procedure, she look abroad for answers. From Ubong tribesmen in Borneo to indigenous tribes in India; from the mountain tribes of Ecuador to villagers in West Africa and natives to tiny fishing towns in Portugal, she found that these people’s spines were essentially a different shape than most people in the west and America. People in these indigenous cultures had spines that were shaped more like the letter “J” with a straight drop from neck to base and then a natural curve at the buttocks. Conversely, if you look at the typical American spine, they are usually shaped more like the letter “S” with a hump or curvature at the top of the back, too. “They have this regal posture, and it’s very compelling” Gokhale said. After taking note and comparing many other factors, Gokhale found that people with this J-Shaped spine rarely suffered back pain. But it’s not that these indigenous cultures had something different – it was the typical American spine that had changed over the decades. When she looked at anatomical drawings from Leonardo da Vinci or a Gray’s Anatomy book from 1901, she found that spines didn’t have that S-shape then, either, but were closer to the J-shape indigenous cultures now display. It seems that a J-shaped spine is the natural and healthier human form. “The J-shaped spine is what you see in Greek statues. It’s what you see in young children. It’s good design,” Gokhale says. 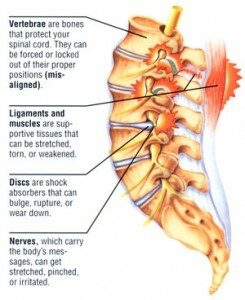 So what has changed with our western or American spines that is causing so much back pain and discomfort? Further research concluded that a sedentary lifestyle, as we sit at desks and in car seats and office chairs and the like far more, could be a major reason why our spines are more S-shaped now. The lack of physical labor, mobility, and even recent phenomenon like “Text Neck” from people looking down at their smart phones so much are also contributors to reshaping our spines – for the worse. While Gokhale’s research was comprehensive, it was mostly anecdotal, and there hasn’t been a real scientific or medical study into this theory of natural J-shaped spines among indigenous. But that doesn’t mean that scientists aren’t interested. Mummaneni believes that it’s actually stronger abdominal muscles in indigenous and more active natural cultures that grant them perfect posture and protect their spines from back pain and acute degeneration. But for most Americans, that strong physical culture has been replaced by sedentary one and overeating – and that means a lot of extra weight and belly fat, resulting in an S-shaped spine. 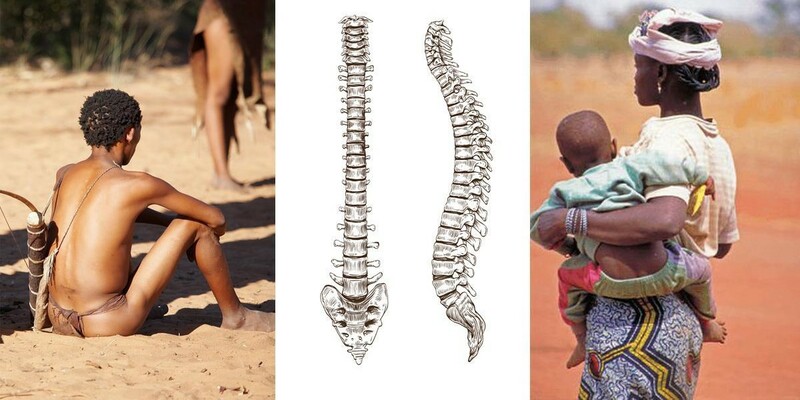 It looks like getting back to basics with correct posture, a healthy diet, active lifestyle with lots of exercise, and regular chiropractic care can replicate the conditions of these indigenous cultures and result in a straighter, healthier spine without regular back pain. If you’re suffering from back pain or any other discomfort in your back, neck or limbs, contact us to find out more! When we think of chiropractic care, rarely does the thought of adjustments for children come to mind, but chiropractic is a vital way to ensure health, growth, function, and optimal growth for children of all ages – including toddlers, babies and even newborns. In fact, infancy and the first years of life are the most effective time for a person to receive chiropractic adjustments, alleviating jammed or misaligned vertebrae segments that cause spinal problems or subluxations. That’s why more than 30 million children benefit from chiropractic adjustments every year, with a stellar safety record and a patient satisfaction rating of approximately 84% – compared with one incredibly lower for traditional medicine. The basis of chiropractic focuses on the essential relationship between the spine and a person’s nervous system. Since the nervous system controls and coordinates all of the body’s important systems, organs, and cells, misalignments and dysfunction in the spine can cause interference in the nervous system, leading to a host of health issues. But chiropractors are trained to restore true alignment, allowing the body to heal, develop, and function naturally. Of course that’s true for children and infants just as much as grown adults – if not more, as we’ll see. Children not only benefit from chiropractic care, they often desperately need it, as trauma to their spines and subsequent disruptions to their nervous systems are common in the early years. Even before they are born, a fetus’ developing spine is placed in a stressful position in utero. The same positions that cause problem with labor – like brow, breech, transverse, posterior, ascynclitic, etc. – can result in problems for the baby’s spine and stress on the nervous system. One of the most physically traumatic experiences a child suffers can be the birth process, itself. During the birth, the fragile spine can become twisted, torqued or compressed, and a doctor’s use of forceps, vacuums, or even their hands can cause misalignments and distortions that manifest in the nervous system. Anyone who’s watched a toddler or young child for more than 5 minutes is shocked by the nonstop parade of falls, spills, jolts, bumps, and acrobatics they endure. We always remark how tough kids are, but these falls and accidents can build up, creating trauma to the spine that will cause more serious developmental and health problems as they get older. There are a litany of stressors that can lead to spinal trauma and interference in the nervous system for developing youth, including physical, chemical and emotional stressors, as well as environmental factors from home, school, or at school with other children. Even carrying backpacks and schoolbooks that are too heavy could do damage. Children play hard, and bumps, bruises, falls, and injuries on the playground, recess, or while playing athletics can all have an impact on a young person’s still-developing spine and nervous system. Sometimes, a parent can spot the symptoms of a child’s spinal misalignment or nervous system disruption. 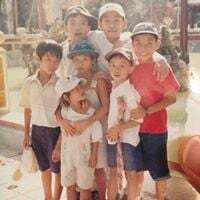 They may notice that the child’s head usually tilts to one side, their head or neck movement is restricted to one side, the child sleeps only a couple hours at a time, and the tendency to nurse on one predominant side for infants. As children develop through their first years, they may exhibit other symptoms that are harder to spot or attribute to a spinal problem, or just deemed normal for kids. Furthermore, difficulty with developmental milestones like sitting up, crawling or walking are a sign that the spine is a good reason to bring a child to the chiropractor. So how can a chiropractor help children and babies? When you bring your children in for a consultation, the first thing we’ll do is a very thorough evaluation, followed by an examination of your child’s spine that is totally comfortable for them. If we identify issues, adjustments will be made gently and with specific techniques that are safe and appropriate for children and even infants. With babies, sometimes it only takes a light fingertip’s pressure to gently correct a spinal misalignment, restoring proper nervous system function. Yes. Chiropractic care for children and infants has been practiced for more than 100 years with an exemplary track record of safety for both adults and young ones. In fact, a check of some of the largest insurance carriers that provide malpractice insurance coverage for chiropractors in the United States reveals not even one claim resulting from an injury to a child in the past five years. The vast majority of children won’t suffer any discomfort, and even if there is a notable sensation it is just because an area is already misaligned or interrupted, and a feeling of relief follows after realignment. When should you bring your child to the chiropractor? Due to the traumas and stresses from time in-utero and birth, it’s best to bring a baby to see us as soon as possible, even checking their spine right after birth. The earlier we find and clear any misalignments and nervous system interference, the more benefits they’ll see with development, growth, and future health. Chiropractors like Dr. Casazza who specialize in performing adjustments on children and infants use gentle, proven, non-invasive methods that are tailored to each patient, so please feel free to contact us any time so we can discuss it more. A fact sheet on whiplash – and how chiropractic care can help. Whiplash is a condition that occurs when the head is snapped forward and then jolted backwards suddenly in a whip-like motion, over-stretching and straining the soft tissue, bones, nerves, tendons, joints, and muscles in the neck and upper back. It is also called neck strain or sprain. Every year, more than two million Americans suffer from whiplash or feel its effects. It’s such a common condition – particularly from people who have been in automobile accidents – that whiplash injuries account for at least 65% of all bodily injury claims, adding up to $8.8 billion every year. To put that dollar figure in perspective, that’s the total GDP of the country of Malta! People who are involved in car crashes are particularly susceptible to whiplash, as the vast majority of accidents involve a slow-moving or stationary car getting hit from behind (rear ended) or on the side, and instances of sudden deceleration. But there are other causes of whiplash. Neck strains, sprains, and whiplash can also occur from other injuries and accidents. It’s a common injury in sports, especially high-impact and full-contact athletic activities where the neck and head are jolted violently, like football and boxing, or from falls and injuries in gymnastics, snow sports, diving, etc. Slip and falls and injuries in the workplace also account for a significant percentage of whiplash cases. How long until you’ll feel symptoms of whiplash? People who suffer an injury or are involved in auto accidents usually feel some discomfort, pain or stiffness in their necks almost immediately, but it make take hours or longer for more acute symptoms of whiplash to set in. In some cases, it can even take weeks or months before the true damage from whiplash is felt and realized! In fact, a delay in the onset of whiplash symptoms has proven to be the rule, not the exception. Research shows that 45% of whiplash sufferers still experienced symptoms at 12 weeks and 25% remained symptomatic at 6 months. What are the common symptoms of whiplash? How acute are the symptoms of whiplash? Damage to your soft tissue, muscles, joints, ligaments, or even spine in the neck and upper back are no small matter. In fact, up to 10% of victims of whiplash become totally disabled. Whiplash can also coincide with mild traumatic brain injuries, called Post Traumatic Concussion Syndrome. The facts about whiplash and auto accidents. You may think a car needs to be going very fast or hit hard for its occupants to suffer whiplash, but in fact most rear-end accidents happen at speeds of only 6-12 mph and medical research shows that the soft tissues in your cervical spine have an injury threshold of only 5 mph. The severity of whiplash suffered in car accidents depends on several factors, like the force and angle of impact, how you are sitting, your headrest, and if you are wearing a seatbelt. If you recognize that you are about to be in a car accident or rear ended, lean your head back into your headrest and look straight ahead. This will give you the best chance of absorbing the trauma without serious injury. Research also shows that 35% of all neck sprains that last more than six weeks could be prevented or reduced if people had better quality head restraints in their automobiles and adjusted them properly. How long does whiplash take to heal? Often times, the pain and symptoms of whiplash will fade on their own in a couple weeks or a month. Although that’s the case approximately 60% of the time, about 25% of whiplash sufferers still have pain or symptoms after six months, and in some cases it can take much longer to heal. A summary of whiplash in motor vehicle collision studies concluded that “over 60% of them” needed long-term medical follow-up.” The same studies stated that the most minor cases needed at least 8 weeks to recover, while the more severe cases took 17 weeks to fully heal. Tips to heal and recover from whiplash. If you have suffered an injury or trauma consistent with the cause of whiplash, or been in a car accident, you shouldn’t wait to get treatment – go see a chiropractor or doctor immediately. 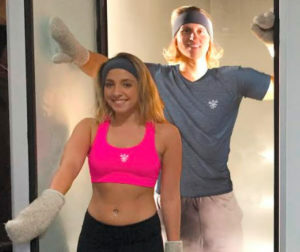 Ice the neck and upper back for 15 minutes 2 times a day. Take anti-inflammatory medication as need and prescribed. Use a firm supporting pillow for sleeping. Use and movement of your neck within a couple days of the injury to prevent muscle stiffness and atrophy and prevent long term pain. You should make an appointment with a chiropractor immediately if you are feeling the effect of whiplash or any of these symptoms. Chiropractic care removes subluxations and other blockages to the spine and nervous system performing optimally, which allows your body to naturally heal without often-dangerous prescription painkillers that only mask the pain, not treat the root cause. Contact us if you have any questions about whiplash or if you’ve been in an auto accident or suffered a similar injury recently. Golfers can improve their swing, avoid injury, and drop their score with chiropractic care. Tiger Woods, Phil Mickelson, Jack Nicklaus and Arnold Palmer – that’s not a Golf Hall of Fame roster, but a list of professional golfers who swear by regular chiropractic care to improve their game and keep their bodies healthy. You can even add Vijay Singh, Fred Funk, David Duvall, and Mike Weir to that list. In fact, 72% of pro golfers utilize chiropractic care on tour, and chiropractors have been part of the official PGA Sports Medicine Team for decades. 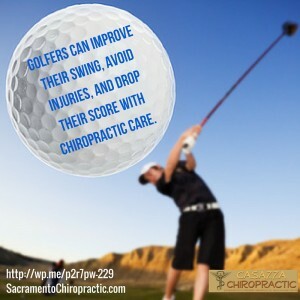 But you don’t have to wear The Green Jacket or be a pro to benefit from chiropractic care. 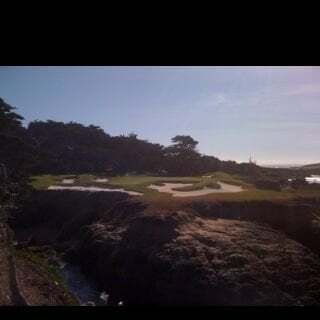 With more than 25 million golfers in the United States alone and about 24.73 million rounds of golf played at clubs worldwide every year, the number of swings, drives, chips, and putts were’ talking is at an all-time high. But that’s also part of the problem – for pros and weekend warriors alike. In fact, a PGA tour chiropractor estimates that between 76-80% of all injuries that occur on the tour are to the lower back. And another 20-25% of injuries affect the neck, shoulders, elbows, and/or hips. What do these all have in common? They are all injuries that originate in the spine or pelvis, which is exactly what chiropractic focuses on. In this two-part series, we’re going to focus on two things: chiropractic care to prevent injuries, and how chiropractic can actually help your game and lower your score. Although we know you want to jump ahead to the information that can help your scorecard, we’re going to start with the part about injuries – because if you’re hurt, you’re not even going to be able to play golf. Golf is extremely hard on the spine, making injuries far too common. Swinging a club is a repetitive motion, but unilaterally torques the spine – which means the swinging movement is only on one side. Think of a weightlifter going to the gym and only lifting one side of the body and you get the idea how golf can throw the body out of alignment and disproportionally build some muscles, but strain tendons and ligaments as well. But research shows that less than 2% of amateur golfers visit a chiropractor for regular adjustments and treatment – until they hurt their backs or injure themselves and they are seeking relief from pain. Even then, far too many golfers (as well as athletes and everyone else) try to treat their pain with aspirin, over-the-counter anti-inflammatories, and visit MDs to get prescription painkillers. That only masks the problem – not truly heals it, nor does it prevent the movements that caused the injury or strain in the first place. While professionals have near-perfect swing mechanics, keeping the spine neutral and balanced, amateurs too often swing in such a way that the torque of takes a huge toll on their spine. Additionally, the muscles that support their spine (especially their core/paraspinal musculature) are usually weak and underdeveloped, though pros work hard to build strength, flexibility, and durability in their core. The ensuing imbalance to the spine invites frequent injury. When your spine’s vertebra are not in the correct position when you swing a golf club (which can go as fast as 90 miles per hour), it causes profound strain on your muscles, ligaments, and discs. Keep doing this –a hundred times or well more during your average eighteen holes of golf, warm ups, and practice swings, and you basically keep stretching the muscles, ligaments, or discs to their limits, where they will start to deform and tear. At that point, the only possible result is muscle strain, ligament strains, disc herniations and joint trauma. So why does the swing of an amateur golfer cause so much more frequent injury than a professional’s? Basically, because amateurs have incorrect mechanics, and even when they think they are practicing the right swing, they probably aren’t. A lot of blame can be given to the myth of how to swing a golf club and where power generates that drives the ball further. People are often taught that the speed of the club head once it strikes the ball is dependent on the spinal rotation during backswing. Basically, if you wind up like a pretzel and really torque your lower back, that will generate power and club head speed as you “uncork” during a swing. They often call it “x-factor,” describing the difference between hip position and shoulder position at the top of the backswing. By keeping the pelvis stationary while rotating the spine as much as possible, they think power is generated as the “big” muscles in the back are engaged during the downswing. Even golf instructors teach this. It’s incorrect. The people who first advocated for this power-generation theory long ago never could account for how maximum spinal rotation actually engaged the spinal muscles or large back muscles like the latissumus dorsi. But we do know that spinal muscles provide only about five percent of the total torque generated during spinal rotation, and abdominal obliques do nearly all of the rest of the work, so the connection is a faulty one. But golf teachers keep teaching this method and golfers keep doing it, anyway. How do we really generate power with a golf swing? But the real way to generate power in your golf swing has to do with creating elastic energy (it’s not coincidence that elastic energy is thought to generate power in almost all sports movements) – not spine twisting torque. Elastic energy is generated when your muscles perform a short, quick stretch during an athletic movement. In fact, the muscles that create elastic energy during a correct and powerful golf swing are the aforementioned latissimus dorsi, the rotator cuff, and even pectoralis major muscles, as well as smaller muscles in the arms and forearms. Guess what? To pre-stretch these muscles into position to create elastic energy as you go through your golf swing, NO SPINAL ROATION IS NEEDED! In fact, the only real reason to rotate your pelvis or spine during your backswing is to put your body in position to effectively deliver the club head when it impacts the ball. So now we know that all of the spine twisting in the world isn’t going to add power to your drive – though it will cause a slew of injuries over time. Keep an eye out for part two of this blog when we explain how chiropractic can actually help your game, prevent injuries, and lower your score! Are you trying to finally quit smoking? Visiting your chiropractor may be your best chance. 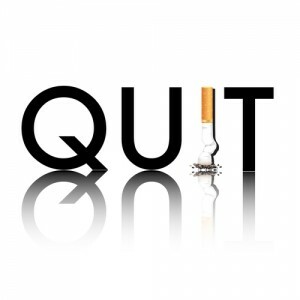 The vast majority of smokers have tried to quit at least one and often more in the past. Surveys show that nearly 7 out of 10 current U.S. smokers (68.8%) say that they want to quit cigarettes and never smoke again. Many are successful, but it often takes several attempts for them to stick with it and become smoke or tobacco free. There is hope for those who want to quit because since 2002 there have been more former smokers who quit than current smokers. How old are people when they usually try to quit? How much do we spend on cigarettes and tobacco dependence? U.S. smokers spend about $90 billion on cigarettes and tobacco products every year. The typical smoker finishes an average of one pack of cigarettes a day. With a pack at around $6.50 each, that adds up to $2,400 a year or more on cigarettes per smoker. Additionally, the healthcare costs associated with tobacco consumption cost about $70 billion each year. Why are cigarettes so harmful? Cigarettes and other tobacco products contain more than 7,000 chemicals, hundreds of them proven to be carcinogenic and more than 70 shown to cause cancer. Tobacco smoke contains a deadly mix of more than 7,000 chemicals; hundreds are harmful, and about 70 can cause cancer. From cigarette smoking to pipes, cigars, and chewing tobacco, consuming tobacco products greatly increases the instance of serious health issues, debilitating diseases, and even death in users. What health problems does smoking cause? Consumption of every form of tobacco increases the development of oxidative stress, prematurely aging the body with symptoms like hair loss, cracked skin and wrinkles, and yellow teeth, and increases toxins that cause pain, inflammation, and degenerative health conditions. This list of damage smoking causes extends to just about every organ, system, and part of the body you can think of, including asthma, vocal cord damage, osteoporosis, poor circulation, Bronchitis, lung damage, organ failure, cancer, and death. How many people die from smoking every year? According to the Center for Disease Control, smoking kills about 5.1 million people every year. To put that death toll in perspective, that is more than all the deaths caused by human immunodeficiency virus (HIV), illegal drug use, alcohol use, motor vehicle injuries, suicides, and murders…combined. Cigarettes and other tobacco products contain a dangerous drug called nicotine that is highly addictive, causing both chemical and mental dependence. In fact, studies show that nicotine may be just as addictive as heroin, cocaine, or alcohol, and more people in the U.S. are addicted to nicotine than to any other drug. Therefore, quitting smoking isn’t just a matter of willpower or habit – it also requires breaking a physiological addiction, the same as getting off any drug. These may lead to binge eating and weight gain, alcohol abuse, or too often, a relapse to smoking again. Does your health really improve once you quit, and how fast does it change? Carbon monoxide levels in your blood drop to normal. Your lungs begin to clear out accumulated mucous and tar. Your pulse rate and blood pressure begin to lower. Your sense of smell and taste begin to improve as nicotine is eliminated from your body. Your bronchial tubes begin to relax, making breathing easier and increasing lung capacity. Circulation improves, making walking, daily physical activity and exercise easier. Your heart attack risk begins to drop and lung function starts to improve. Coughing and sinus congestion decrease, lung function improves, shortness of breath decreases, and energy level improves. Your risk of coronary heart disease is cut in half compared to a smoker. Your risk of dying from lung cancer is about half that of a smokers. Your risks of cancer of the mouth, throat, esophagus, bladder, kidney and pancreas decrease significantly. Your risk of coronary heart disease and lung cancer is back to that of someone who has never smoked a cigarette in their life! 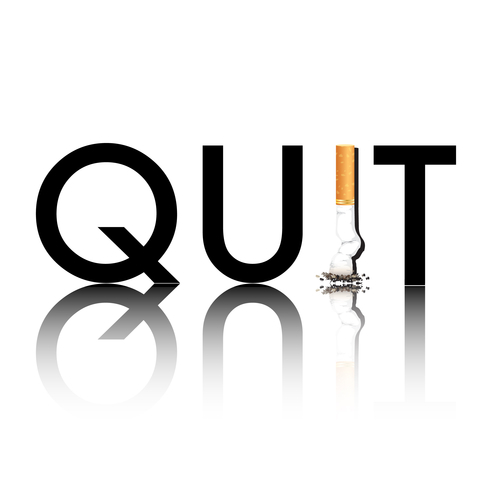 How can your chiropractor help you quit smoking? If you’re a smoker, no one can quit for you – it’s ultimately up to you to do that. 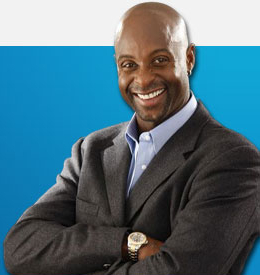 But the good news is that there are many methods and techniques that are proven to help smokers quit successfully. Chiropractors are an important ally in helping smokers quit nicotine and most importantly, stay off of it. While many smokers opt for replacement drugs and medications like the patch or gum to help them wean off smoking, or even try to quit “cold turkey”, those methods don’t have very high success rates without relapse. Seeing a chiropractor may be the best method to help you quit. 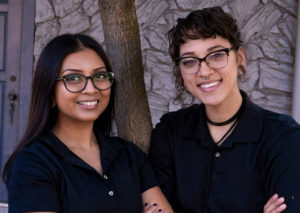 First off, they will provide counseling, education, and support to help you tackle your addiction. 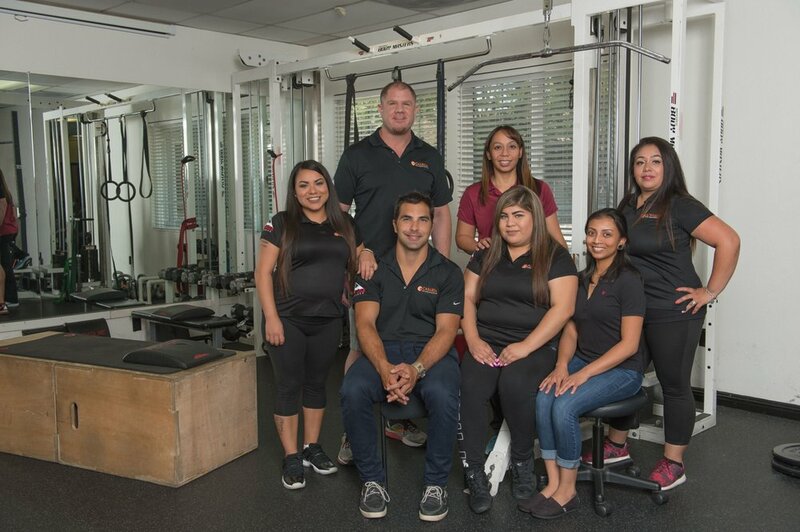 Just as importantly, many chiropractors can help with natural healthcare solutions that to help you fight the addiction – called smoking cessation programs. Acupuncture stimulates certain points on the body that are associated with cravings, triggering the nervous system and releasing naturally beneficial neurotransmitters such as endorphin, serotonin, and adrenalin, all of which help to rebalance your body during the nicotine withdraw phase. Pinpointed light therapies also trigger the release of endorphins and serotonins, naturally and effectively calming the stresses the body is under during the critical first 72 hours after your last cigarette. Proper supplementation and homeopathy further helps reduce stress, cravings, and symptoms of withdrawal. Additionally, naturopathic care and proper nutrition are vital. To accelerate the body’s natural healing process, we’ll help flush your body of harmful toxins that accumulated in the blood, tissues, and cells through smoking. Your body will heal itself quickly and efficiently once it is properly aligned and subluxations or blockages are removed. Therefore, getting adjusted regularly as you quit smoking will aid your recovery, helping you quit smoking and stay off cigarettes for good. If you’re trying to quit smoking – and maybe it’s not the first time – contact us for help to do it the right way! The spinal cord serves three crucial functions: supporting the body’s weight, providing flexibility for movement, protecting the spinal cord, nerve roots and fibers. The human spine is made up of 33 irregularly shaped bones called vertebrae. When you’re born, your spine contains 33 individual vertebrae. But as we age, some of them fuse together. In fact, five vertebrae that make our sacrum become one bone and the coccygeal vertebrae fuse together as one, which forms the tailbone. Both giraffes and humans have 7 vertebrae in their necks! There are approximately 13.5 million neurons in the spinal cord. That’s why the spine is like the main highway of communication, sending more than a million signals between the brain and the rest of the body every day. The spine contains over 100 joints, 220 individual ligaments, and more than 120 muscles. Your spine is so flexible that it can bend 2/3 of a full circle. The cervical vertebrae is sometimes called “Atlas”, which refers to the mythical Greek Atlas who had to lift the weight of the world on his shoulders – the same as the neck supports the weight of the head. More than 25 percent of the spine’s length is made up of cartilage, a sponge-like substance that separates and protects each vertebral disc. This cartilage can expand and contract. Over the decades, gravity shrinks the cartilage of our spine, which is why were actually lose height as we age. That’s also why we’re slightly taller in the morning than at night. Conversely, cartilage expands in the absence of gravity – like outer space. So when astronauts return from space they are usually 1.5 or 2 inches taller than when they left. The human spine is amazingly strong and resilient, able to bear the weight and pressure of hundreds and hundreds of pounds. 82 percent of people who suffer spinal cord injuries are male. Experts aren’t exactly sure why this is true, except for the explanation that men engage in far more adventure sports, high impact sports, and are riskier on the roadways, etc. The number one cause of spinal cord injuries are from motor vehicle accidents, account for about 35 percent of all spinal cord injuries each year. But once people reach the age of 65, falls are the leading cause of spinal cord injuries. The leading cause of workplace disability is due to spinal cord disorders and injuries. Motor vehicle accidents account for the most common cause of spinal cord trauma and lower back pain in the U.S.
Spinal Health Week – also called Spinal Awareness Week – will be held May 25-31 in 2016; a time to educate the public about chiropractic and spinal health and encourage them to make lifestyle changes. Likewise, World Spine Day is October 16 every year. It’s estimated that 80 percent of the U.S. population suffers from back pain on a regular basis, yet too often, people wait until the paint is acute or lasting before they search for help, and then visit a MD or hospital where they are given prescription painkillers to mask the problem, not cure it. So it’s more important than ever to examine the actual root causes of back pain, which will allow us to help prevent it and treat it at its cause. No one has ever won their battle with Father Time, and unfortunately, getting to middle age increases the prevalence of back pain, too. Usually, people start feeling back pain in their 30s and 40s and it could get worse if they don’t do something to treat the cause – not just mask the symptoms. When you’re out of shape and don’t exercise regularly, your muscles atrophy, your flexibility diminishes, and back pain very well could emerge. When people are overweight – and especially obese – they force the body to carry around extra weight that it is not equipped to handle, and the knees and back usually suffer. Some people have a hereditary predisposition towards some conditions that cause back pain, like ankylosing spondylitis, a form of arthritis that affects the spine. Some diseases can cause back pain, like scoliosis, arthritis, kidney stones, endometriosis, fibromyalgia, as well as infection, cancer and tumors. If you have to lift big boxes, operate machinery at awkward angles, or otherwise do repetitive or unwieldy tasks that twist your spine, you will inevitably feel it. Nicotine inhibits blood flow to vertebrae and disks, so they could age and break down more rapidly. Regular smoking also prevents the disks in your spine from getting enough nutrients and calcium, as well as inhibiting the body’s ability to heal back pain. Some racial groups are prone to back pain. For instance, African American women are two to three times more likely than white women to have their lower spine slip out of place. Even if you don’t think you’re doing anything to compromise your back at work, just sitting at your desk all day at the incorrect angle or with bad posture can cause serious back issues. Dubbed “text neck,” the occurrence of people looking down and leaning into their phones, tablets, etc. at an awkward angle that puts stress on the neck, shoulders, and back has reached epidemic proportions. 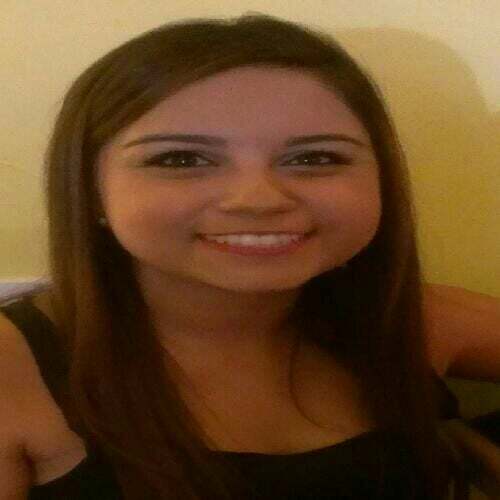 In fact, for every inch that your head is leaning forward due to gravitational forces, it’s an additional 10 pounds! 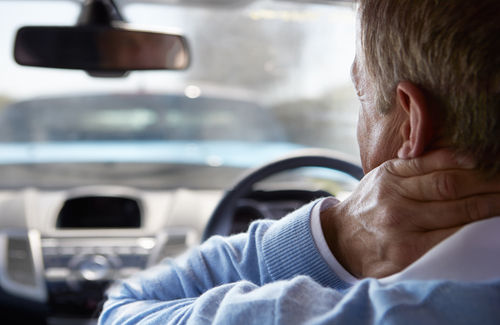 The most common injury suffered in auto accidents is whiplash, which can hurt the supporting muscles, ligaments and other connective tissues in the neck and upper back – often with long-term or chronic manifestations. Sleeping on your belly places undue pressure on your joints, muscles and disks. To avoid back pain, sleep on your side or back, which elongates your spine and keeps it in a neutral position. There is a strong connection between your emotions and the physical symptoms they manifest, and the same is true of back pain. Acute or prolonged stress causes tension in the muscles, joints, inhibits proper neurological function, and even lowers the immune system. We all know that stilettos and tall high-heels can wreak havoc on your feet, ankles, calves, and cause back problems over time, but in fact, sandals and flip-flops may do the same. Flat shoes like those offer little or no arch support, which can cause back, knee, and foot problems of their own. Doing nothing can cause back problems, too, especially for people who feel mild back discomfort or pain but over-rest it by staying bed ridden or laying down for days. In fact, low-impact activities like walking, light yoga or swimming boost circulation to the back muscles, which aids recovery. The vast majority of us get headaches periodically but for some, that pounding, throbbing, and piercing pain in the skull can be a severe and common malady. In fact, it’s estimated that at least 90% of the population get at least an occasional headache. The toll headaches can take on work, finances, health, happiness, and relationships is severe, with more than 250 million work days lost each year due to headaches, costing us $25 billion annually. There are many common stressers and triggers that may exacerbate headaches, but at its root, headaches are the body’s way of sounding an alarm that something isn’t right, or out of alignment. It could be something as small as drinking too much alcohol, overeating, or lack of sleep that causes headaches. Eye strain, bad posture (especially with ‘Text Neck’ these days), excessive noise, bad air quality, or sickness or infection could cause headaches. A typical cause of headaches is that spinal bones in the neck aren’t supporting your head properly, which can affect nerves, muscles and even the blood supply to your head. The good news is that chiropractic care is a great way to treat headaches, not only dulling the pain short-term (like with medication and prescription drugs) but allowing the body to naturally heal. The vast majority of headaches – no matter how severe – can be relieved when spinal subluxations (out of place spinal joints that irritate the nerves) are corrected and proper alignment is achieved. How prevalent are headaches in the U.S.? So what types of headaches are there? 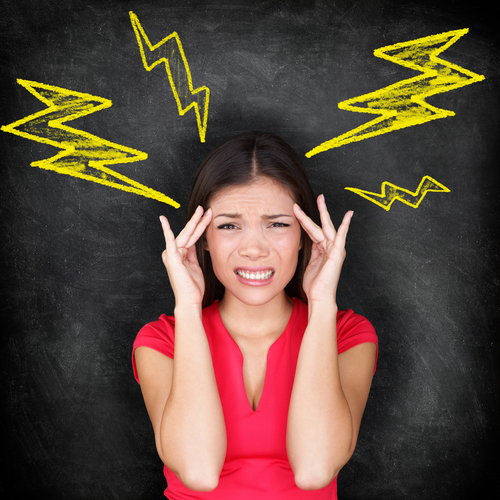 The most common type of headache, tension headaches account for about 78% of all headaches. These feel like a constricting band is around your head, but usually don’t come with other feelings of illness. Tension headaches are often caused by a tightening of the face, jaw, eyes, neck and shoulders because of stress, anxiety, or bad posture. Migraine headaches are severe, with the World Health Organization rating migraines the 19th leading cause of years lived with disability. In the typical month, migraine sufferers lose .64 days of work and suffer through 12.7 hours of impairment. 94% of people who go to their medical doctor complaining about episode of headaches actually have migraines, though only 50% of those with migraines are ever diagnose. There is some confusion about the clinical diagnosis of sinus headaches, as nearly 90% of all people who are diagnosed as having sinus headaches have migraines, and about 50% of people with migraines suffer some eye tearing or nasal stuffiness as well. These headaches are severe and concentrate around the eye and temple and can last 20 minutes all the way to 2 hours. While cluster headaches are relatively rare, afflicting only .05% of the population, they are different than migraines with a different diagnosis and treatment. An astounding 1 in 20 people, or 5% of the population, get chronic daily headaches. There can be many causes, but they usually have a history of migraines and the overuse of medication. How can you treat headaches? With tension headaches, many people treat the symptoms short-term with aspirin, Ibuprofen (Advil, Motrin), or Acetaminophen (Tylenol) that can be bought over the counter. Most people treat migraines with over-the-counter medications, prescription medications, though pharmaceuticals may just mask the symptoms and not treat the root cause. Migraine sufferers also commonly sit in a dark room, apply hot or cold compresses, and possibly use massage. Cluster headaches are often treated with preventive medications and also by inhaling 100% oxygen through a mask. If you visit a medical doctor when your hradaches worsen or become more common, he or she will most likely prescribe medications. But those drugs only numb the nervous system, dulling the pain temporarily but doing nothing to treat the root cause. In fact, they may do more harm than good, as powerful prescription drugs often have an adverse effect on the liver and kidneys. Medical doctors also might order an expensive MRI or CT Scan of your brain to try to pinpoint the cause of the headache – almost one-third of them do so. However, this is usually a waste of time and money, as studies reveal that only one in 11,200 patients with headache have a problem that shows up on these types of tests. In some rare cases, headaches can be caused by sever conditions like brain tumors or diabetes, but for the vast majority of people, that is not the case and a MD’s MRI, CT Scan, and prescription drugs are not the place to start. But there are more natural, holistic measures to try to prevent, minimize, or treat headaches. Meditation, or relaxing in a dark room and quieting your mind every day. Ice packs and cold compresses applied to the back of the neck, the head, and the temple. Lie down with a small pillow or towel rolled up to support the neck without pushing the head forward. Moderate exercise and remaining physically fit. Taking a hot or cold shower. Eating healthy and smaller meals. Avoid too little or too much sleep. It’s been proven that chiropractic care helps prevent and treat tension and stress in the neck, shoulders, and head. Therefore, chiropractic care often provides relief – sometimes immediately – when the body is realigned. A study of headache sufferers over two years revealed that chiropractic care gave them significant improvement. In fact, about 75% of all subjects that suffered from migraines either had them go away all together or improve greatly after chiropratic care. So if you get bad headaches – or they are becoming more frequent or more severe – don’t reach for the pill bottle, but call us for a chiropractic appointment for true and lasting relief. 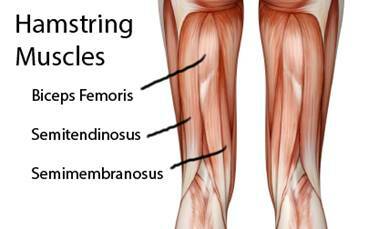 The term ‘hamstrings’ actually encompasses three muscles and their adjoining tendons that are located on the back of each thigh, the biceps femoris, semitendinousus, and semimembranosus. Two of these muscles are located down the inner side of the back of the leg, and one is on the outside. The function of the hamstrings are to help bend the knee and move the thigh backwards, or decelerate the thigh as it moves forward. Unfortunately, the hamstrings are not as elastic or “stretchy” compared to other large muscle groups, and are under a lot of stress when we play sports or undergo rigorous physical activity. Injuries to hamstrings are one of the most common sports related injuries, and are graded depending on severity. A Grade 1 injury might just be a slight twinge or strain. A Grade 2 injury is more of a ‘pop’ or pull, and a Grade 3 hamstring injury could be a full tear or severe pull. We usually strain our hamstring suddenly and in one of two ways: either from sprinting or high intensity athletics or movements, or stretch related injuries where the hamstring is pulled too far, such as with Cross Fit, gymnastics, or martial arts. Why do these injuries happen? When we are sprinting, hamstrings are usually compromised lower down the back of the thigh, on the tendon where the long head of the biceps femoris muscle meets. During the running motion, the hamstring muscles work overtime to decelerate the lower leg just before your foot hits the ground, and that’s why it may be injured. Conversely, over-stretch type injuries may build up over time, the hamstring being strained in the same area over and over until it eventually gives, or the overstretching happens all at once, but not from the same causes and in the same place. When you injure your hamstrings happens, you are usually tearing or partially tearing the muscle or tendon, which comes with a sudden shooting pain and even a popping noise. When a hamstring is injured there is usually swelling and bruising, though the bruise can appear a little later. If the tear is severe enough, a hardened lump may appear on the hamstring and it will be tender to the touch. Why are do athletes and weekend warriors injure their hamstrings so often, while the same people may go though their whole lives without one single thigh injury? One reason can be genetics, as some people are born with shorter hamstrings, or they grow too slow compared to the rest of their body when they are young. But the hamstrings just tend to be less elastic than other muscles and weaker at the tendon connection. Overuse is another reason we injure our hamstrings, fatigue from exercising, or often we perform intensive athletic movements without properly warming up the muscles behind the leg. As we get older, we naturally lose some of our elasticity and range of motion, too. The healing process for hamstring injuries depends on the severity and type of the injury. A minor pull or strain may heal fully within a couple weeks, but more severe tears can take three months or more to heal. The problem is that we shouldn’t use our hamstrings during the recovery period, but people often come back and start working out again too quickly, which can cause reinjury or chronic problems. When you first feel a hamstring injury, you should remember the acronym “RICE”. You should avoid putting any weight on the leg and rest it as much as possible, even using crutches if necessary. As soon as possible, add ice to the injured area, wrapping it in a towel. Apply ice every two or three hours for the first couple days to help reduce pain and swelling. Wrapping the leg with a bandage will help minimize bleeding in the muscle and reduce swelling. A compression bandage or sleeve (though not too tight) will also protect you from strain as you walk around, avoiding reinjury. As soon as it feels comfortable and pain free, you should start doing light stretching, warming up and working the hamstring. Keep stretching it during the recovery process but give a hamstring injury plenty of time to fully heal before exercising again, or else it is far more likely to happen again. So what can you do to prevent your hamstrings from being injured, and protect them after recovery? Many hamstring injuries are brought on because we don’t properly warm up before exerting ourselves. Warming up brings blood and oxygen to the hamstrings, easing into their maximum flexibility. You should also work into sprints and other strenuous exercise slowly, paying attention to how your hamstrings and other muscles feel. If you feel any strain or tightness, slow down and stretch or warm up some more. Swimming is a great exercise that stretches and strengths your hamstrings without the danger of injury, and running up stairs and doing lunges (when healthy) will strengthen them as well. There are more specific stretches and exercises you can do to improve the flexibility and strength of your hamstrings and help prevent injuries. Email us and we’d be happy to share those. Just like anything in the fine-tuned system that is your body, hamstrings don’t exist and work in isolation. In fact, problems with the lower back or pelvis will increase the prevalence of hamstring injuries. If you have ongoing problems with your hamstrings or recurring strains, it’s time to check in with your chiropractor. 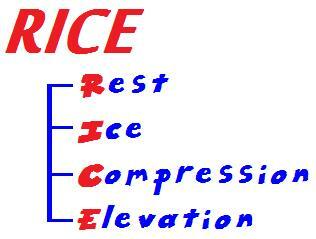 We will examine your entire “kinetic chain” from your feet, knees, hamstrings, hips, pelvis, and lower back. We can also look at the biomechanics of how you run, exercise, or your posture at work or studying, which can all affect your propensity to injury your hamstrings. Chiropractic adjustment and spinal manipulation can correct issues, increasing nerve stimulation in the hamstrings or injured areas, increasing strength, flexibility, and protecting them from getting injured in the future. If you’d like more information about your hamstrings, sports injuries, or how chiropractic care can help, please get in touch! 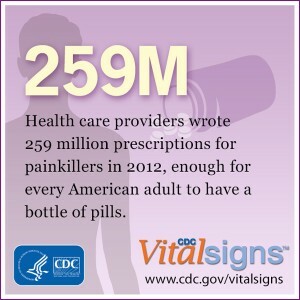 Chiropractic care can help cure America’s prescription painkiller epidemic. Opioids are painkilling medications that resemble opiates in their pharmacological effects. They are manufactured by big drug companies in the United States, and all too commonly prescribed by doctors to patients who are suffering pain. However, opioids such as Oxycodone, codeine, Dilaudid, Vicodin, and methadone, and morphine are highly addictive and often abused by patients or bought and sold illegally. They are also very dangerous if misused or taken outside of a doctor’s guidance. Unfortunately, doctors were highly incentivized by the pharmaceutical companies and medical establishment to acutely over-prescribe these drugs, abandoning other healthier, more holistic, and natural treatments that better serve patients over the long term. 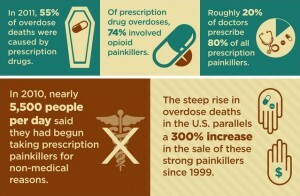 The prevalence of opioid painkillers. According to that same NIH, it’s estimated that between 5 and 8 million Americans regularly take opioid painkillers to manage long-term chronic pain. In 2012, Americans filled approximately 260 million prescriptions for opiate painkillers, according to the Centers for Disease Control and Prevention (CDC). That’s enough for every single American to have a bottle of pills. 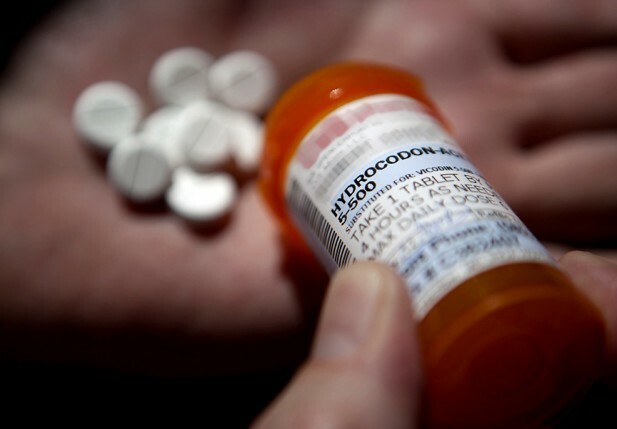 When researchers analyzed data on prescriptions between 2009 and 2013, they found that at least 36 million people received at least one prescription for opioids. 80% of all prescriptions for painkillers were written by only 20% of doctors. Deaths and overdoses from prescription painkillers. Shockingly, about 60 percent of prescription opioid users also take them in conjunction with other medications, such as anti-anxiety medications, which can cause a fatal overdose when mixed. In the decade leading up to 2012, deaths from prescription opioids more than doubled, to 16,000 every year. In that same time, deaths from illegal heroin reached 6,000 per year, far less than legal opioids. In only a four-year span, from 2004 to 2008, the number of emergency room visits for opioid abuse increased from 144,60 to 305,900, respectively. Overdose deaths from legal prescription opioids have gone up at least 300 percent since 1990 and 400 hundred percent since 1999. 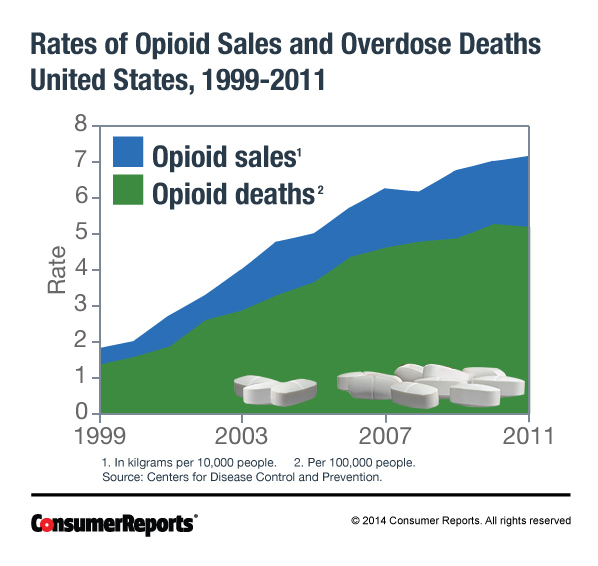 That rise in overdoses correlated exactly with a 300 percent increase in the sale of opioid painkillers since 1999. In 2008, prescription pain pills killed more people than all of those who died from cocaine and heroin, combined. 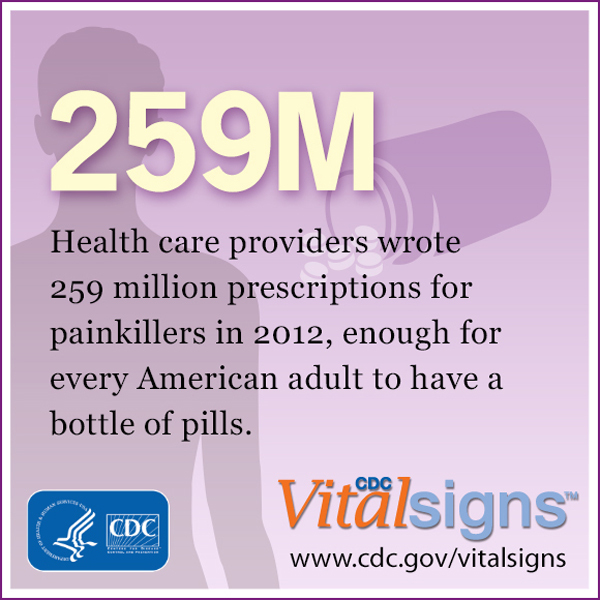 By 2010, there were more than 160,000 hospitalizations for prescription opioid addictions every year. And by 2012, more people ages 25 to 64 died from prescription drug overdoses than car accidents. In 2013, 71 percent of overdoses from prescription drugs (16,325 deaths in all) were caused by opioid painkillers. In 2014, about 46 Americans died every day from prescription painkiller overdoses. Between 2001 and 2011, the number of admissions to treatment and rehab centers for nonmedical opioid abuse increased 500%, from 35,648 a year to 180,708 a year, respectively. Of the patients who filled more than a 30-day supply of prescription opioid painkillers, about 50 percent of them were still taking them even three years later. Studies estimate that at least 2.1 million people in the United States suffer from addiction and abuse disorders related to prescription opioid painkillers. Who takes them and how do they get them? Since the peak of the epidemic in 2012, there are fewer people filling prescriptions for opioids, but filling them for more volume and longer periods, an 8.4 percent increase. Opioid use is actually highest among seniors, but adults between 22 and 44 fill larger volume prescriptions and for longer periods of time, indicating abuse. 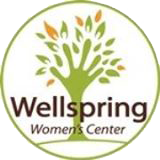 Women fill opioid prescriptions at a 30% higher rate than men, but men take much higher doses and for longer amounts of time. It’s so hard to identify and prevent painkiller abuse because too often, people obtain them from a friend or family member who has a legal and warranted prescription. In fact, only 2.3% of those surveyed admit buying them from an illegal source outside of the medical/pharmaceutical realm. The small ray of light in all of this bad news is that a concerted effort of education, awareness, criminal crackdowns, and increased regulations has started to address the opioid epidemic. In fact, fewer Americans died from prescription painkiller overdoses in 2012 than the year before, the first time in over a decade, according to the Centers for Disease Control and Prevention. But there is still a long way to go to cure this silent epidemic, and chiropractic care can be an important resource in that effort. Chiropractic is a safe and effective alternative to treat pain. Treating pain with chiropractic care, whether from migraine headaches, lower back pain, or injuries, is particularly effective. Chiropractic realigns your body’s natural balance, allowing it to heal the source of the pain, not just masking the symptoms. Therefore it’s also much safer and than taking prescription painkillers and risking addiction, abuse, and overdose. Come talk to us if you are experiencing any pain or want to understand the benefits of chiropractic care over prescription painkillers for treatment.